Product categories of Quick Release, we are specialized manufacturers from China, Quick Release Pipe, Welded Quick Release Pipe suppliers/factory, wholesale high-quality products of Big Size Quick Release R & D and manufacturing, we have the perfect after-sales service and technical support. Look forward to your cooperation! Our Quick Release are used for pipe connection,especially for the Dredging pipe. 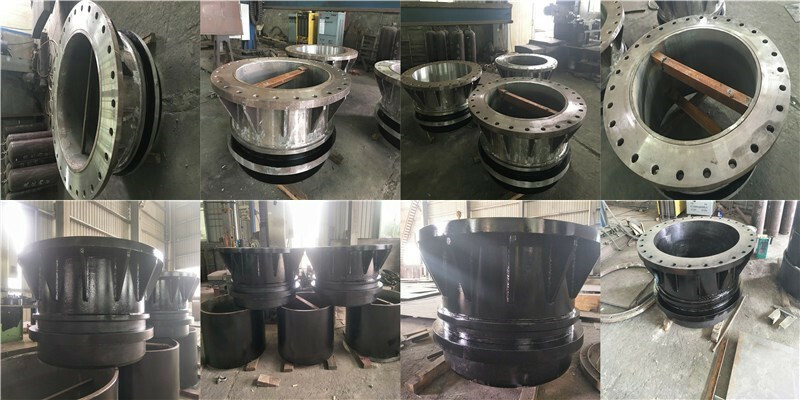 Dredge pipe pieces are a variety of pipes on board of dredgers like bend pipe, T-pipe, pitched T-pipe, Y-pipe, cross pipe, strait pipe, and conical pipe. These dredge pipe pieces are used on-board of dredgers to connect the Dredge Pump with the discharge pipe. Mostly the pipes are made from cast steel. Sometime Welded Pipes are used. Dredge pipe pieces may have different thicknesses, shapes and lengths, they are also provided with lifting lugs for easy handling. They supposed to have smooth surface for low frictions. In most cases the flanges are cast together with the pipe to provide a stronger connection between flange and pipe. It is also very important that the entire dredge pipe pieces to follow the shape of the flow resulting in low frictions and to avoid vortexes. The materials used to manufacture the dredge pipe pieces are both manganese alloy that provides high elongation and impact value or high chromium, nickel and molybdenum alloy that gives high yield, high tensile and very high hardness values.